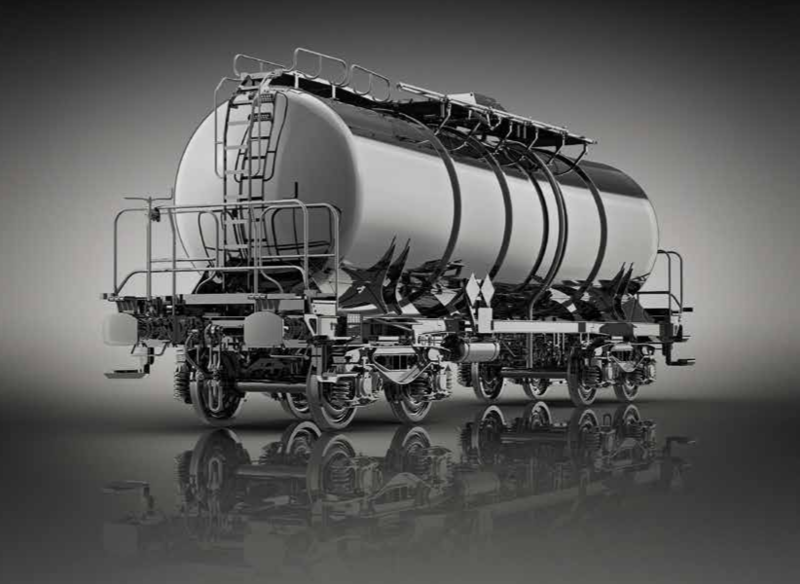 The wagon Zacns 44 m3 is a 4-axle tank wagon of 44 m3 volume designed for transportation of titanic chloride (UN 1838) – substance of class 6.1 according to RID. The wagon complies with regulations of TSI-WAG, applicable UIC Leaflets, agreement about mutual use of freight wagons in the international transport AVV (RIV), ERRI recommendations and EN standards.The wagon is designed for operation without any limitations on all European railway tracks with normal track gauge for climatic conditions with temperatures T1 (from -25 ̊C to +40 ̊C) according to TSI-WAG. The wagon complies with conditions for marking GE according to TSI-WAG.